For more than 60 years, Young Life has set the standard by building state-of-the-art, comfortable and well-designed facilities that reflect God's glorious creation. We offer outstanding lodging, amenities and personalized service at competitive and affordable rates for groups of up to 500 guests. We desire to share this beautiful resort property and serve your non-profit organization. To find out more about booking Lost Canyon for your next event, contact us today! It is our desire at Lost Canyon to provide the kind of service that Young Life has long been known for - warm service, great food and comfortable accommodations in a pristine wilderness. It is our desire to make your stay here at Lost Canyon as enjoyable as possible. Because we strive for excellence in our service, your stay will be tailored to your needs. You set the schedule at Lost Canyon! Our Food Services department will redefine the words “camp food” for you. You’ll be surprised by the menu at Lost Canyon, especially the home made breads. In addition, there’s no better dining facility in northern Arizona than our dining room. We offer a variety of opportunities for groups of all sizes to book their camps, retreats, and conferences at Lost Canyon. Exclusive Camps: Enjoy having all of camp to your self and meeting in the Iron Horse. Complimenting: Complimenting groups will meet in Elk Horn our grand Dining Hall. SITE groups: Typically smaller in nature these groups with under 100 guests will meet in our cozy leader's lounge. Are you planning on selling your own T-shirts, or having a Guest Speaker or a Band who want to sell any of their own product while at Lost Canyon? Please read our policy on selling outside merchandise. 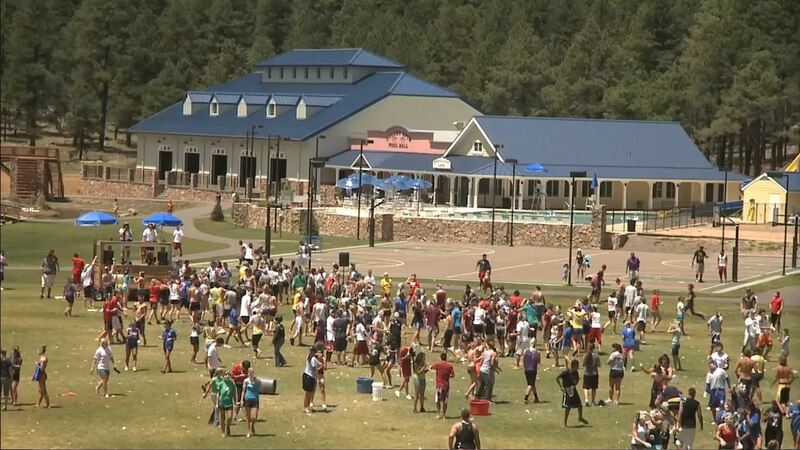 Camper check in time at Lost Canyon is 4p.m. Camp Directors, their Leadership teams and bands are welcome to show up earlier in the day for their set up and preparation, but will have to wait until later in the afternoon to check into their housing. You may have people with food allergies or dietary restrictions in your group. If we know about them, we’re better able to serve them! Please let your Guest Group Coordinator know if there’s anything we can do to serve your guests in this regard, or feel free to contact our friendly Food Service Staff. For more information on holding your event during the school season, please contact Coeta Hernandez.